Johannes Hermanus Sluijmer or Joh. 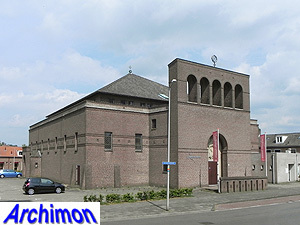 H. Sluijmer, also often spelled Sluymer, was born in Enschede (Ov) on September 11th 1894. His father was a former carpenter who had become a successful contractor. When young Sluijmer at the age of 14 failed the first year of secondary school, he was taught to become a carpenter in his father's firm. After learning the skills of draughtmanship at evening school and at the office of architect Kromhout van der Meer, in 1915 at the age of 20 he on a second prize in a competition for a hospital in Hilversum. 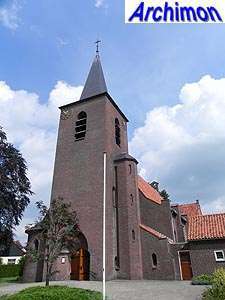 After this he worked for architect Wolter te Riele in Deventer and was involved with the work on churches in Laren and Oldenzaal. Te Riele would become a major influence on Sluijmer. 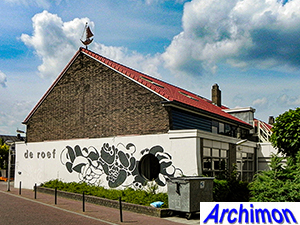 Later he worked for architect Rovers in Schiedam. In this period he lived in Rotterdam. In his free time he studied architecture and in 1919, while still lving in Rotterdam, he was commissioned to design a presbytery for Aalten. That same year he returned to his hometown Enschede and started his own office. 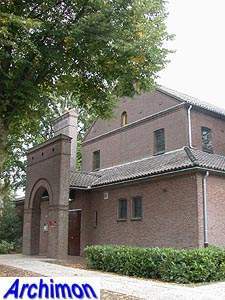 The next year he designed his first church, the neo-Gothic St. Antonius in Zwartemeer (Dr), which was built in 1921. 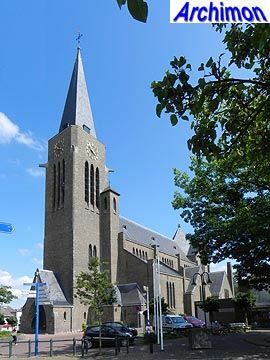 During the rest of his career, Sluijmer built several churches in various styles, beginning with neo-Gothic which, after some influences of Expressionism, ended with Traditionalism. In the 1930's Sluijmer had cooperated with H.W. 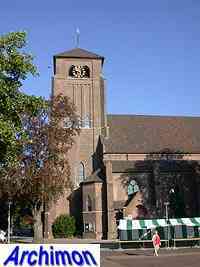 Valk on churches in Haalderen (where he was the executive architect) and Enschede (the St. Jacobus, designed by both in conjunction). This cooperation, as well as publications about churches by A.J. 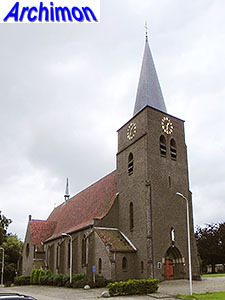 Kropholler, influenced Sluijmer's subsequent designs for village churches. He also designed many profane buildings such as houses and was involved with the development of new neighbourhoods in Enschede. Most of his work was built in the provinces of Overijssel and Gelderland. After the Second World War Sluijmer was assisted by his son J.H. Sluijmer, first informally, but after 1956 officially. He died on April 8th 1979. His son J.H. Sluijmer Jr. (Hans) was born in Enschede on February 7th 1927. After the Second World War he studied construction engineering at the Institute of Technology in Delft, where M.J. Granpré Molière was one of his teachers. Sluijmer later married Granpré Molière's secretary. After his graduation in 1952 he found a job at the office of J. van der Laan in Leiden. However, the declining health of his father soon urged him to join the office in Enschede. 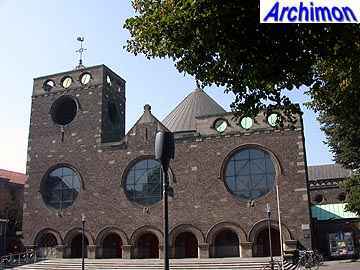 On Saturdays he took the multi-year course Church Architecture in 's-Hertogenbosch, where the ideas of Dom Hans van der Laan were taught by architects like his former employer (and brother of Hans) Jan van der Laan. In 1956 father and son Sluijmer became official partners. Sluijmer jr. became in charge of the office when his father took a less prominent position. The office was expanded to become a multi-disciplinary company that still exists today. Already before his graduation in 1952 he was involved with the work of his father, first introducing the ideas of the post-war Delft School and later that of the Bossche School. His later work is of a more Functionalist nature, like that of the late Bossche School which had abandoned the traditional basilican construction. 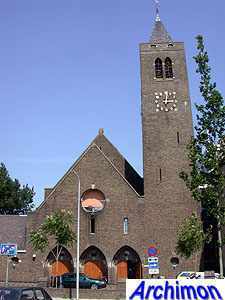 The last church by the Sluijmer office was built in 1971. Sluijmer retired in 1984. The following is a list of Sluijmers Sr. and Jr.'s religious work only. It is mostly, if not entirely, complete. 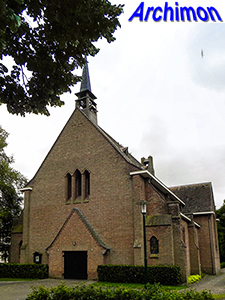 Sluijmer's first church, a centralizing building in neo-Gothic style. 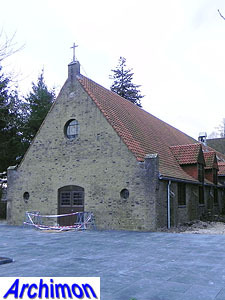 Addition of a choir and sacristy to A. Tepe's church from 1902-1903. Three-aisled centralizing church in a neo-Gothic style with Expressionist influences. The church has a transept that was meant to be later extended, which never happened, which is why it is hardly wider than the nave. Small towerless basilican church in modern Neo-Gothic style. Wide building in a modest style. Now a community center. The permanent church was built behind this church in 1953. Large and tall cruciform basilica in a combination of Traditionalist and Expressionist styles, with tall frontal tower. 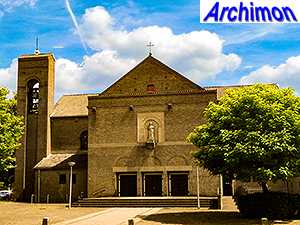 Church in Traditionalist style, designed in conjunction with G.Th. Ruberg. In the 1990's it was rebuilt into apartments. Centralizing church in neo-Byzantine style, designed together with architect H.W. Valk. Pseudo-basilica in Traditionalist style. Tower with saddleback-roof. Aisleless church in Traditionalist style. Although built as a parish church, the church became part of the newly built Capuchin monastery Dolphia a few years later. Now a restaurant. Cruciform pseudo-basilica in Traditionalist style with front tower. 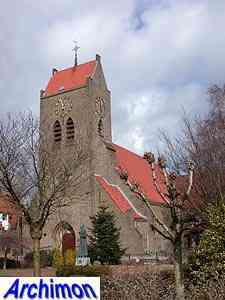 Three-aisled church in Traditionalist style, with large crossing-tower. Addition of side-aisles to an older church by P.J.H. Cuypers. Three-aisled church in Traditionalist style. 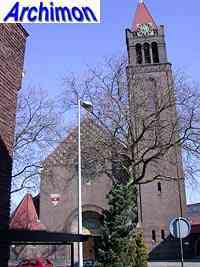 Tower added to an older church by J. Stuyt. Design only. Large cruciform basilica in Traditionalist style, with big square crossing-tower and a front with two lower towers. 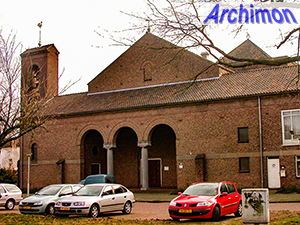 After the war Sluijmer designed a new church for the same location, the current H. Hart van Jezus from 1953. Three-aisled church in Traditionalist style with front tower. Aisleless church in Traditionalist style. Now a theatre. Towerless basilica in Traditionalist style. Replacement of transept and choir of an older church. Cruciform pseudo-basilica in a Traditionalist style, largely modeled after Gothic and/or neo-Gothic examples, but with the tower showing Romanesque influences. Replaced a neo-Gothic church by H.J. Wennekers which was destroyed in 1945. Small towerless basilica in Traditionalist style. 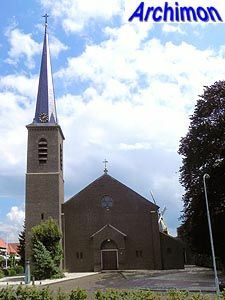 Towerless basilica in Traditionalist style, largely similar to the church in De Belt. Basilica in Traditionalist style, with westwork-like front. Tower added later. Big towerless basilica in Traditionalist style. Church in Traditionalist style, incorporating an older tower (G. te Riele, 1871). Three-aisled pseudo-basilica in Traditionalist style, with front tower. 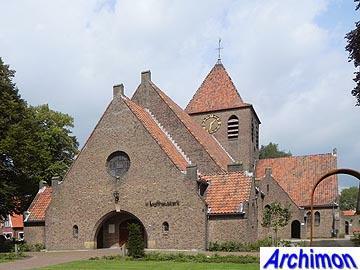 The design originates from 1948 and he church is more in line with Sluijmer's pre-war churches. Church in Bossche School-style. Wide transept, square crossing-tower above the choir. At the front a small, massive tower, a so-called bell-gable, the first time Sluijmer used such a feature. 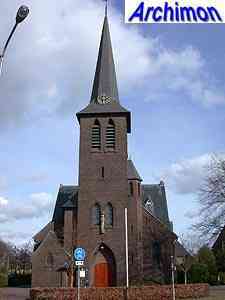 Also called Ariëns Gedachteniskerk. Wide three-aisled hall-church in Traditionalist style, with bell-gable at the front and side-aisles with seperate gables. Towerless basilica in Bossche School-style. Church for a Benedictine abbey. Box-shaped church with at the front a wall-like portal. Large boxlike church in modern style. Now an Evangelical church. Large boxlike church in modern style. Demolished in 2008. Large boxlike church in modern style. Demolished in 2000 except for the tower. Boxlike church in modern style. Demolished in 2011. 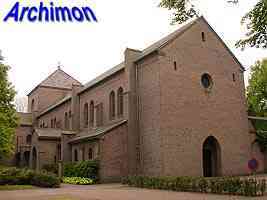 Large boxlike church in modern style. Modern church in Functionalist style. Church in modern style. Demolished in 2006. 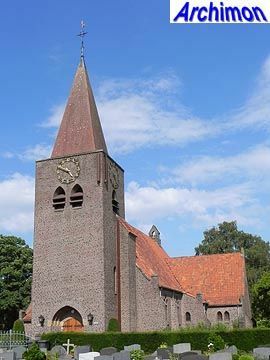 Church in modern style, with seperate tower added later.